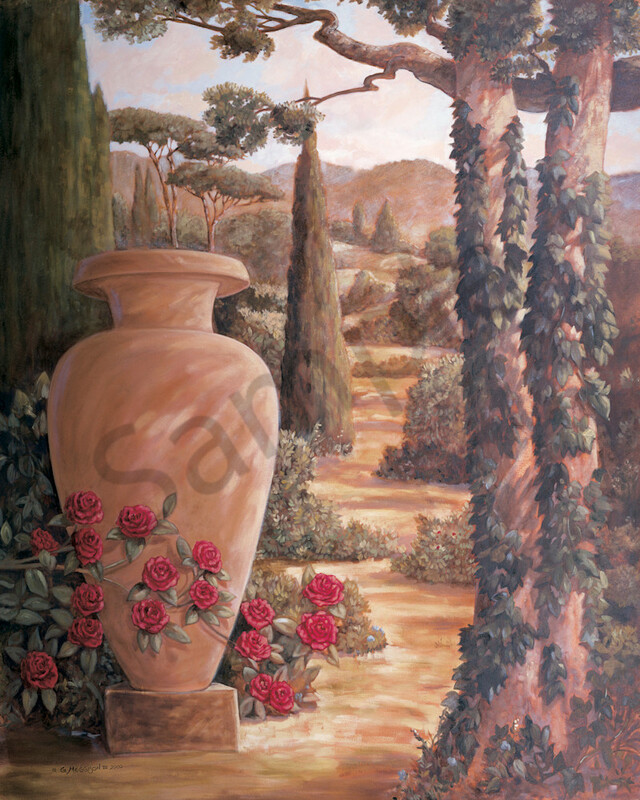 Italian Urn 1 is an oil painting that was a 48" X 60" of an Italian villa garden scene. (Select "Wall Preview" below for a room type, size and wall color to better view the art). Italian Urn 1 is a classical fantasy of an Italian villa garden scene perhaps, recalling earlier times when the world was a simpler place, more connected to nature. Urns have traditionally stored olive oil as they have for thousands of years, making them a timeless symbol of human survival, and the finer, gentler part of our culture. (Select "Wall Preview" below for a room type, size and wall color to better view the art).